In April 1943, the Korean Women’s Relief Society of Honolulu commemorated the 25th Anniversary of Korea’s provisional government with the presentation of four Korean Cherry Trees. 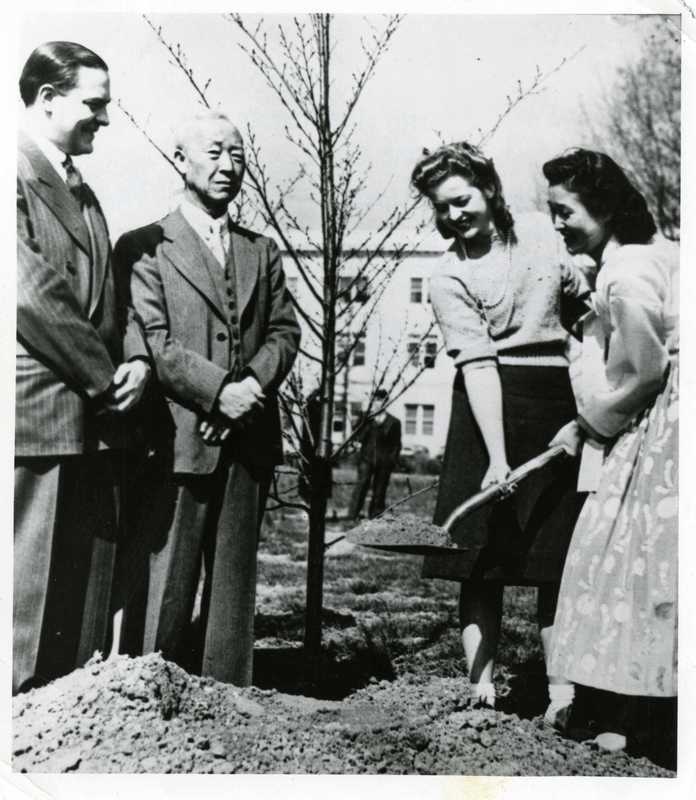 During the event, Dr. Syngman Rhee, President of the provisional government in Korea, planted the first tree on American University’s campus. In addition to planting the trees, American University President Paul Douglass read the Korean Declaration of Independence. On April 11, 1986, the Korean Student Association at American University rededicated the original gift by installing a granite plaque.